Seoul is a dynamic and ever-changing city that never sleeps and therefore, during every trip, I never fail to discover something new to do and explore. 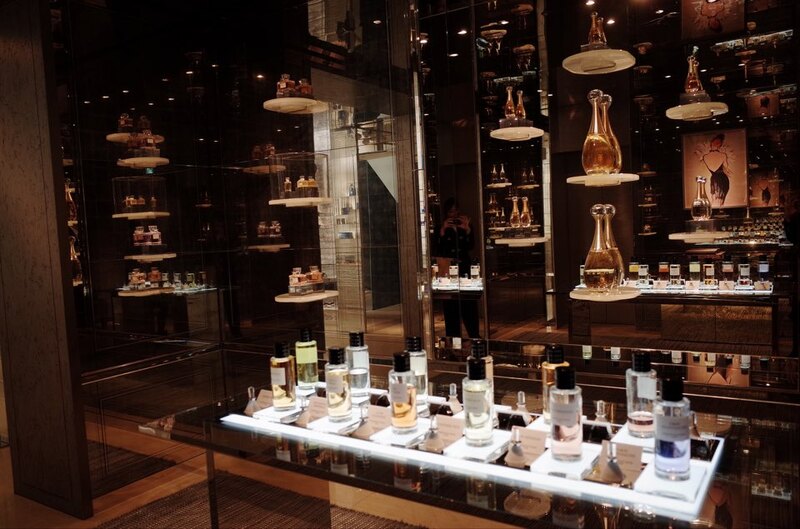 My latest discovery is the House of Dior, the biggest flagship store in Asia and an absolute must-visit for all fashionistas and luxury shoppers. 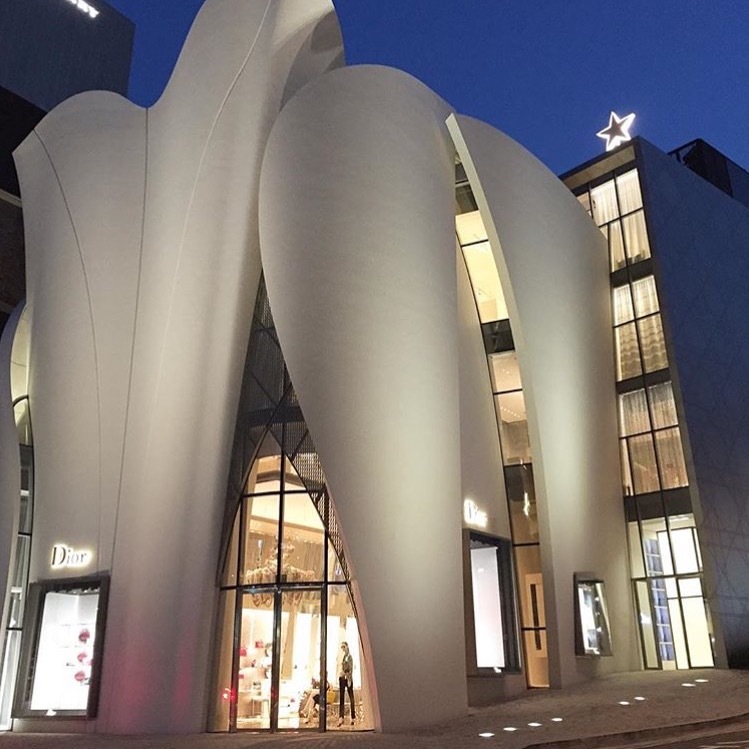 In designing the curvalicious building, which opened its doors in the heart of Cheongdam-dong, Gangnam-gu district, only last June, French architect Christian de Portzamparc was inspired by the movements of the fabric used for the House’s couture collection and they way they play with light, which gives the sculpture a sense of softness, almost resembling a gift that’s about to be opened. As I first stepped foot into the 6-floor building for the first time, I was greeted by a suspended sculpture by Korean artist Lee Bul. 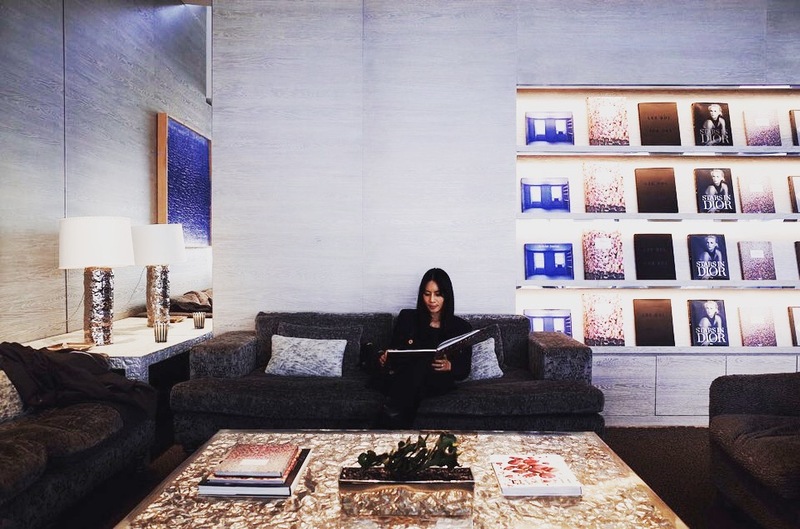 As I made my way around the store, exploring its every nook and cranny, I took in the magical environment created by interior designer Peter Marino. 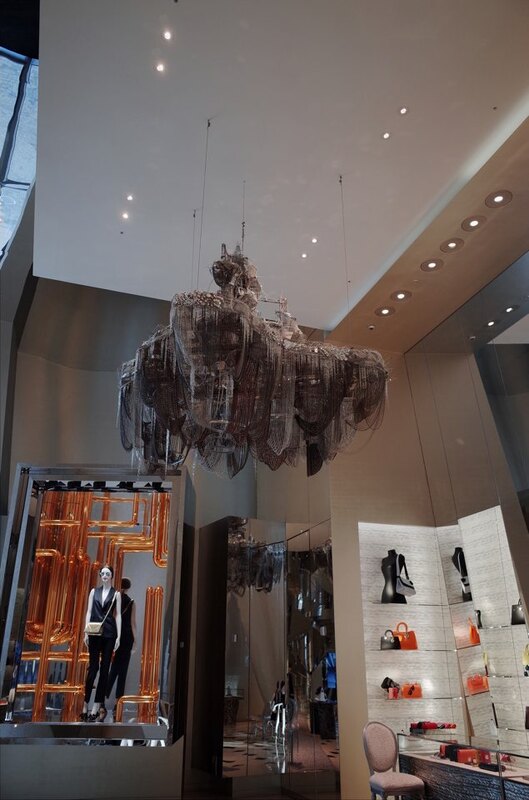 The luxurious interior is decorated with wooden panels, comfortable leather sofas and lacquered furniture, while the long staircase resembles an unfurling ribbon that takes visitors to the different shopping departments, including womenswear, menswear, accessories and perfumes. 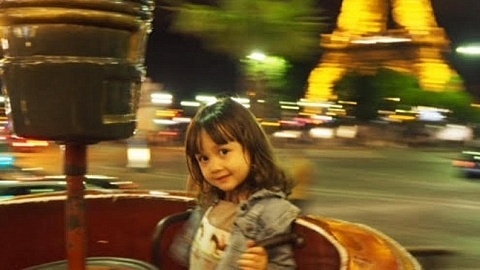 When I was tired of shopping, I made my way to the top floor, which is home to the Cafe Dior by Pierre Herme. 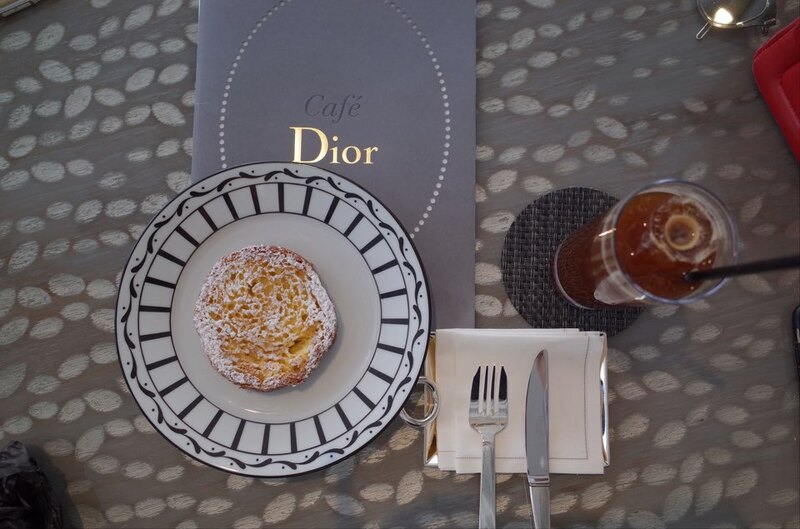 The famous pastry chef has created a mouthwatering menu of culinary treats that are exclusive to the House of Dior. 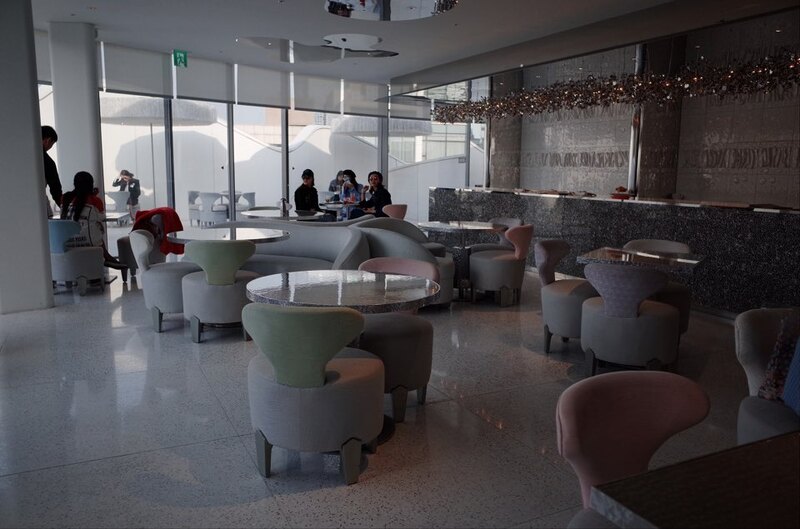 The glamorous cafe exudes a relaxing atmosphere that made me feel like I was sitting in my own living room – or, should I say, a more luxurious version of it! As I sipped my coffee, I flipped down the pages of one of the many books available, which recounted the history of the Maison. Before leaving, I paid a short visit to the art gallery, which features its own private salon, where I admired the beautiful paintings of Marc Polidori, among those of many other artists. Before I even realised it, an entire afternoon had quickly passed by and it was time for me to say goodbye to this beautiful building and the many wonders hidden inside it. 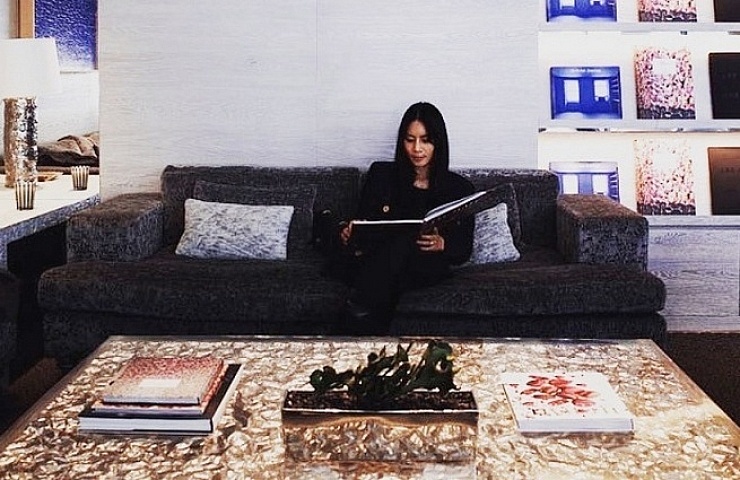 But I know this was just the first of many visits to the House of Dior – I can’t wait to be back!